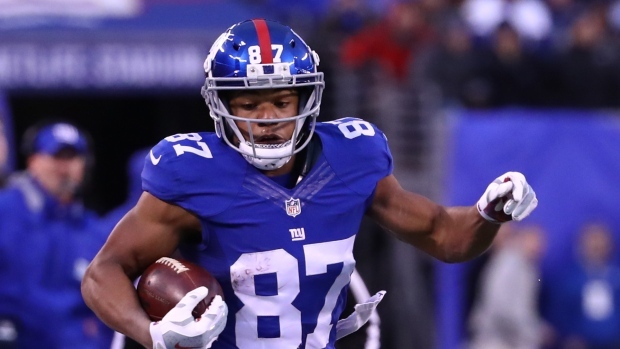 Sterling Shepard is the now the man on the New York Giants receiving corps and he's about to be paid like it. The NFL Network's Mike Garafolo reports that the team is finalizing a four-year, $41 million extension with the 26-year-old Oklahoma product. With the trade of Odell Beckham Jr. to the Cleveland Browns, Shepard - heading into his fourth NFL season - is now the team's longest-tenured receiver. In 16 games last season, Shepard hauled in 872 yards on 66 receptions with four touchdowns. Originally taken in the second round of the 2015 NFL Draft, Shepard has 2,286 yards on 192 receptions with 14 touchdowns for his career.